The farmer is not getting the fair price for his yield, so how does he pay for his expenses? 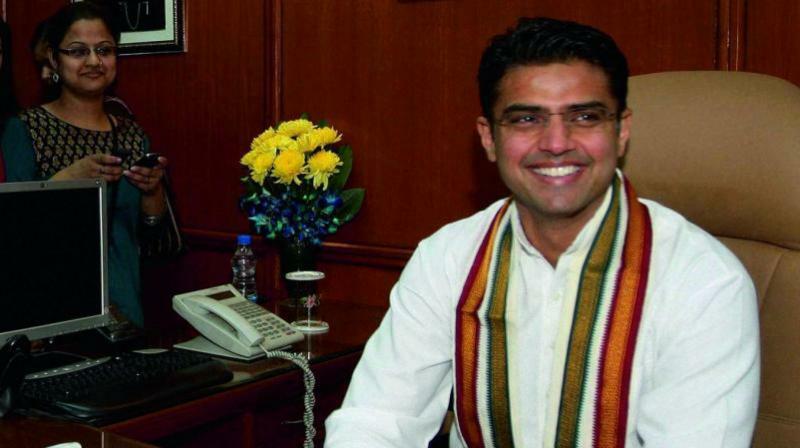 President of the Rajasthan Congress, Sachin Pilot, spoke with Ashhar Khan about what happened on the trip to Mandsaur and the agrarian stress that has gripped the country. Could you tell us what exactly happened when you, along with the senior leadership of the Congress, wanted to meet the families of the farmers who were killed in police firing near Mandsaur? See, we wanted to give our condolences to the families of the farmers who were killed in police firing in Madhya Pradesh. As representatives of the people, it is incumbent upon us to be present with them at the time of crisis. The family of one farmer did not want to cremate the body till the chief minister visited them, which he did not. So, we just wanted to be there to share their grief. We had told everybody that we will not make this a political event, but a private affair. There will be no speeches; there will be no political flags of the Congress. Nothing of this sort, our plan was to just stand by our fellow countrymen in time of need. When were you stopped by the police and taken into custody? The programme was that Rahulji will land in Udaipur and from there we will drive down to Mandsaur. We had senior leaders like Kamal Nath, Digvijaya Singh and Arun Yadav. But for some strange reason, the Madhya Pradesh police came about 20 kilometres inside Rajasthan to stop us from reaching Mandsaur. Now which law were we breaking? Is it illegal to meet farmers in this country? See, as representatives of the people you have to be with them and understand the issues that are bothering them. This also calms down the people. All this was not being done by the BJP government. You were also seen riding a motorcycle on your way to Mandsaur. What was happening? The bottom line is that the government did not want us to be there. First, they said that four-wheelers cannot go so we got onto motorcycles. Then they said that even two-wheelers are not allowed, so we carried along on foot. But then that was also unacceptable to the police. Finally, they took us into custody, as was expected. The government was uncomfortable seeing us visit the farmers as they had made no efforts to reach out to them, instead they were busy clamping down, and we were not being allowed to go. There must have been more than 2,000 policemen guarding the border between Madhya Pradesh and Rajasthan. The BJP has accused your vice-president of doing tragedy tourism and playing politics. Your comments? This is completely untrue. Rahulji has always been with people; he has always been interacting with farmers, dalits, tribals and people from all walks of life. We should be standing by our fellow citizens in time of crisis. As I mentioned earlier, we did not make it a political event. There were no speeches and no party flags. It was just us showing solidarity. The families of the farmer also wanted to meet us; it was not that we were forcing ourselves on anybody. I just don’t understand why the BJP is so scared in letting people meet us. The BJP has alleged that the unrest is taking place in Madhya Pradesh at the behest of the Congress. What does the Congress have to say on this charge? You know the strange part with the BJP is that they have now become accustomed to blaming the Congress for everything. It is the BJP government in Madhya Pradesh since 2002; it is the BJP government at the Centre for the past three years now. Even then the Congress is being blamed for everything that is going wrong. Don’t you think this is a little strange? Foisting false charges against Congress workers and leaders has become the favourite pastime of the BJP. Instead of tackling the agrarian stress that is visible across the country, the BJP government is busy blaming the Congress and hatching conspiracy theories when none exist. You were talking about the agrarian stress, what exactly is the problem that the farmers are facing today? At present, there is a lot of stress on the farming community. This includes farmers, landless farmer, farm worker and labourer. Also, the ancillary industry associated with it. The BJP in its manifesto had promised minimum support price plus 50 per cent. Now where is the MSP and where is the 50 per cent? The farmer is not getting the fair price for his yield, so how does he pay for his expenses? The problem is not limited to this state alone. You can see spontaneous agitations breaking out in several states. The respective governments and the Central government are doing absolutely nothing to address the issue. Look at the procurement process from the farmers. Even if you fix a MSP, the procurement agencies are in collusion with the private players and delay procurement. Due to this, the farmer, who is already facing hardships has to reach out to private players. So the entire ecosystem has to be addressed. The NCRB data says that every 41 minutes a farmer commits suicide. Now governments both at the Centre and the state are of the BJP, they cannot hide behind excuses. The BJP did give a loan waiver to the farmers after they came to power in Uttar Pradesh. Your thoughts? Firstly, has the money been disbursed to farmers in Uttar Pradesh? Secondly, have all farmers who had taken loans been accommodated in the present loan waiver scheme brought out by the government in UP? The BJP is using the loan waiver as an election tool. If the BJP is so serious about the farmers then why not waive loans for all farmers across the country? The UPA 1 government lead by the Congress also brought in a loan waiver but that was for the entire country and not aimed at electoral gains. So, the point remains, the issue of agrarian stress will have to be dealt in a holistic manner. Three years have passed of the Central government led by the BJP. There are celebrations happening. Your comments? Propaganda can take you so far. It is for all to see and judge the Central government on all parameters, be it internal security, job creation, economic indices or the rural economy. Well, I would at the moment limit myself to the current agrarian stress. As far as farmers are concerned, these three years are certainly not a reason for celebration. It is a matter of life and death, which is affecting them in their daily lives. The government should not be insensitive towards farmers.